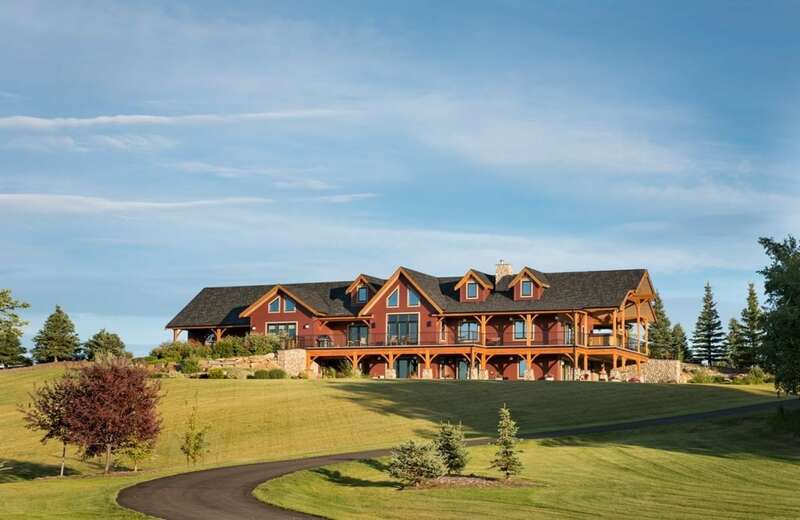 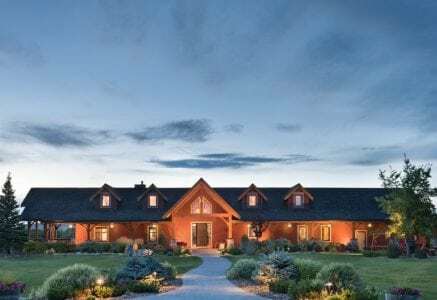 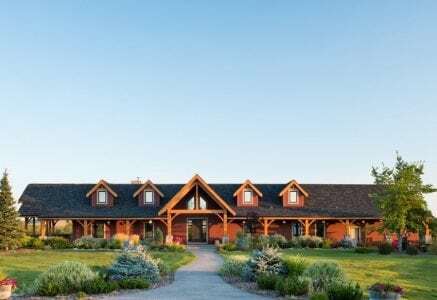 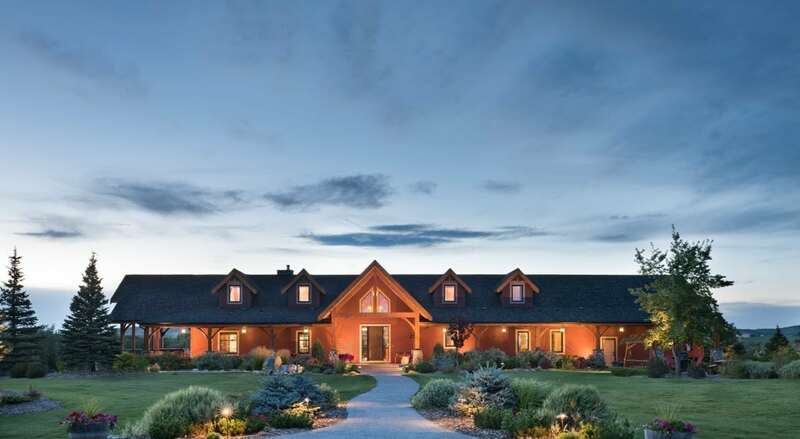 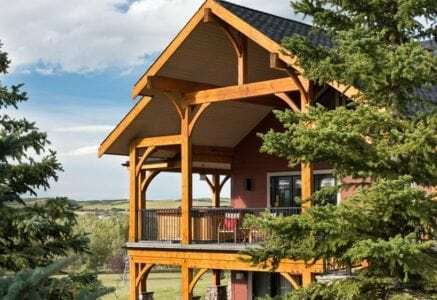 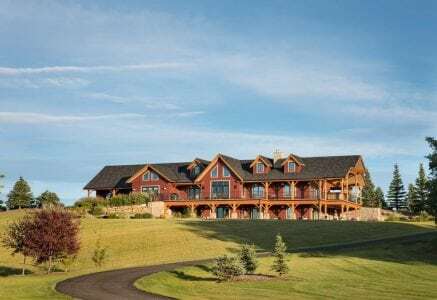 This ranch-style home sits on property near the Sheep River and has panoramic views of the prairie, farmland, and mountains that surround Okotoks, Alberta. 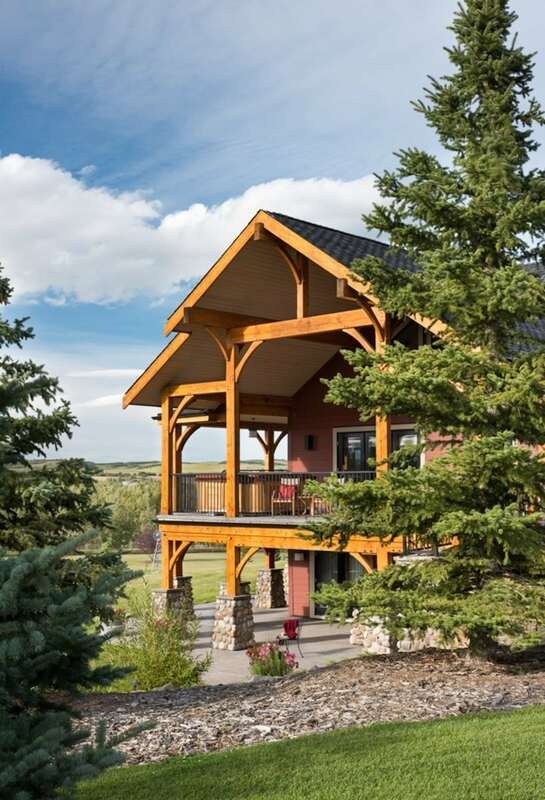 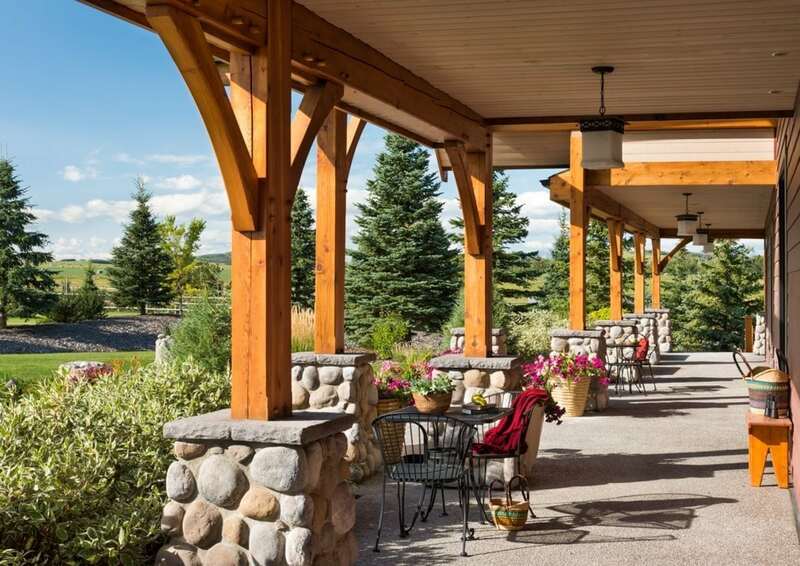 A traditional wrap-around porch provides space for the homeowners to enjoy the scenery from any direction. 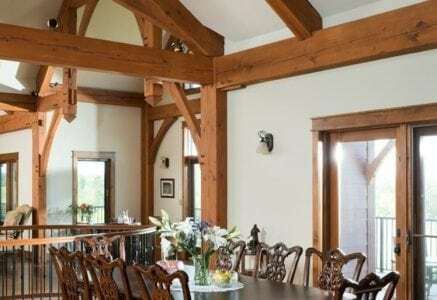 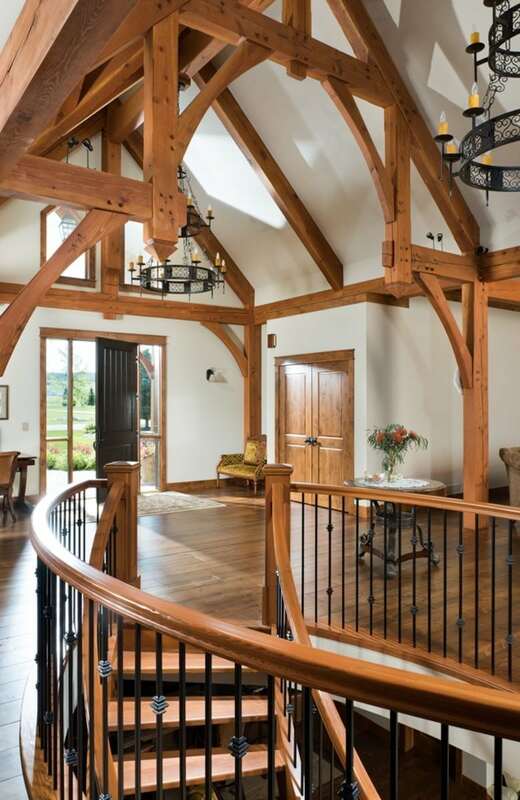 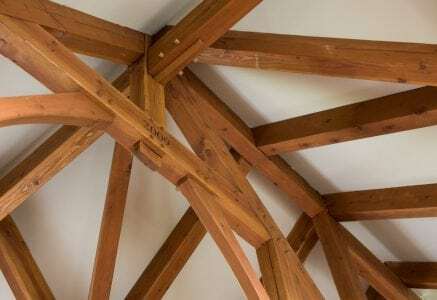 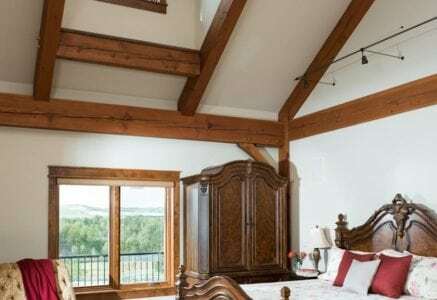 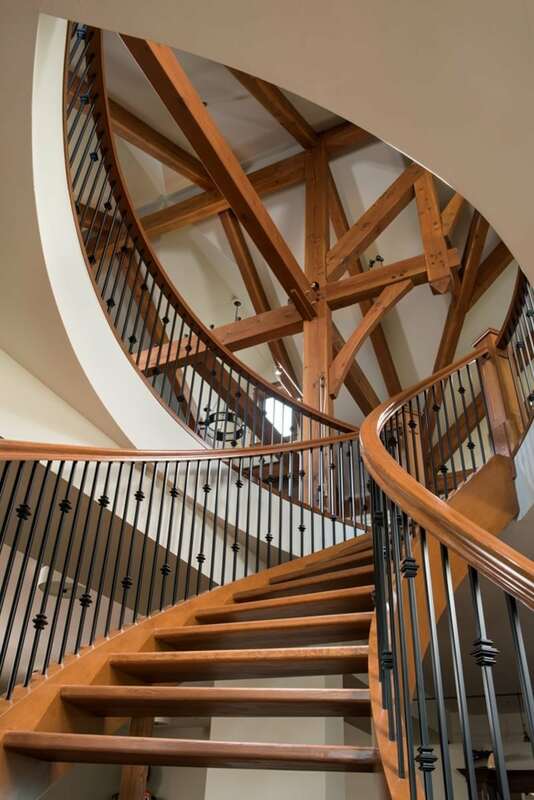 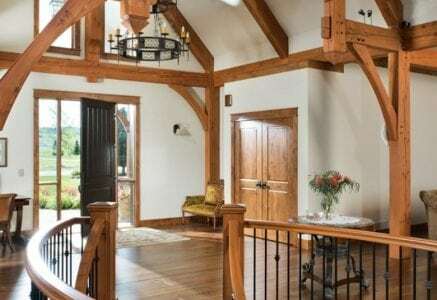 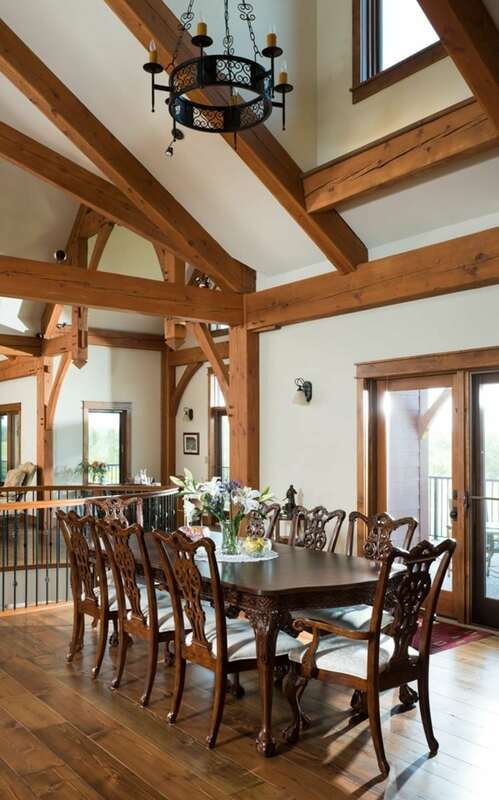 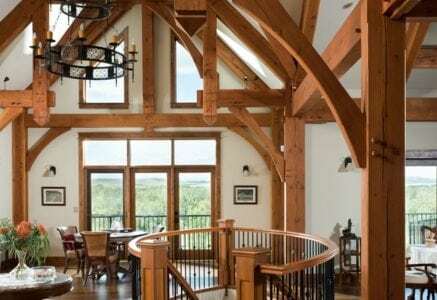 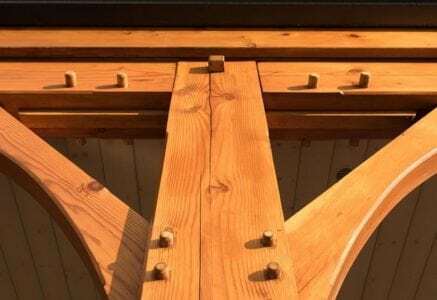 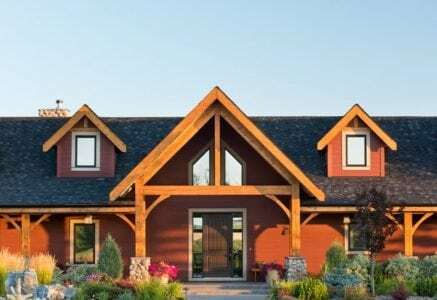 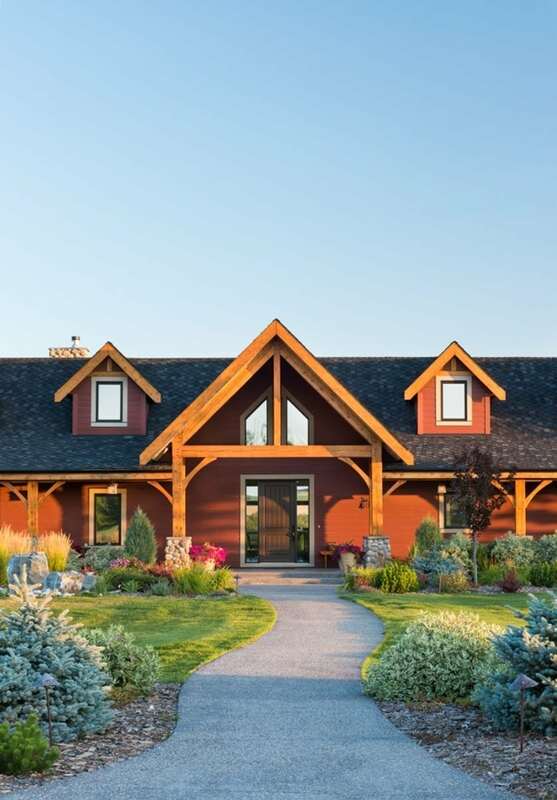 Inside the home, traditional hammer beam trusses repeat through the home’s core adding drama to the home’s architecture. 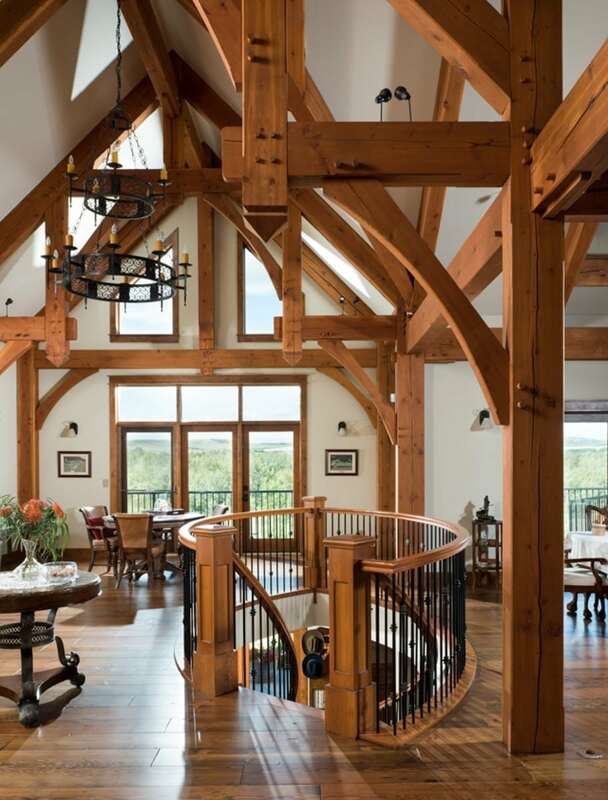 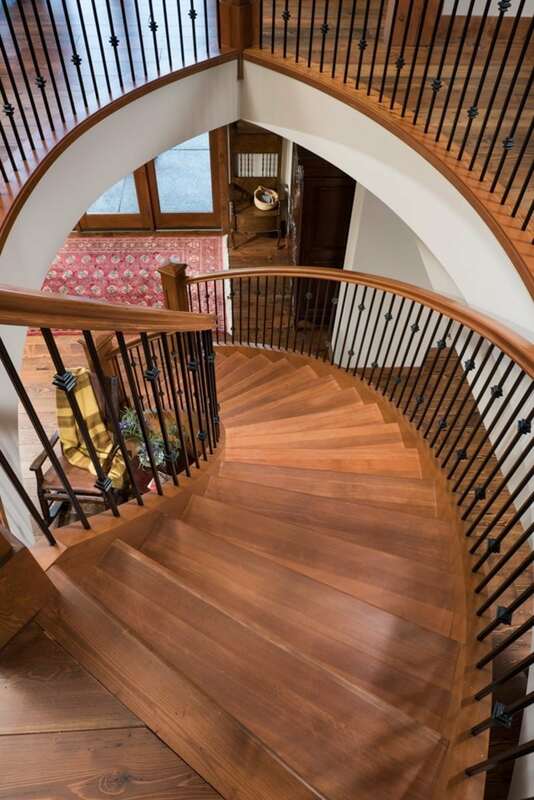 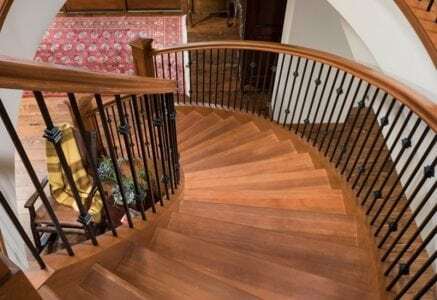 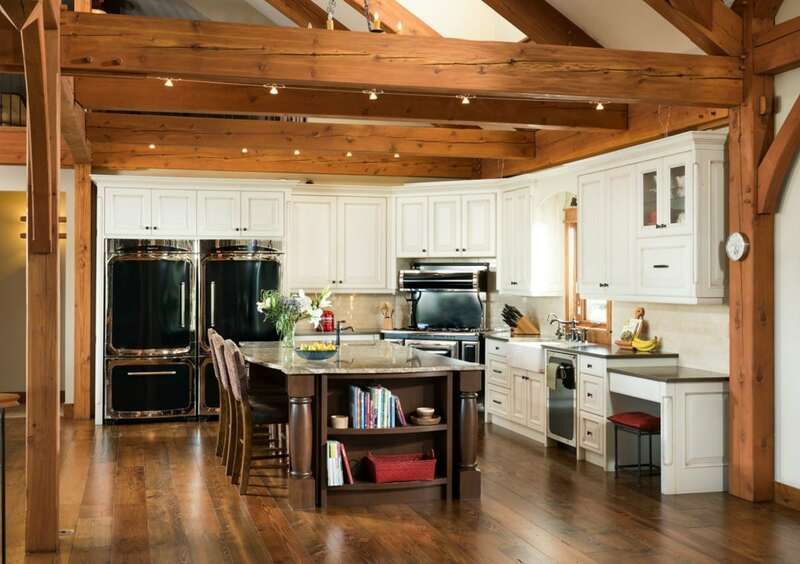 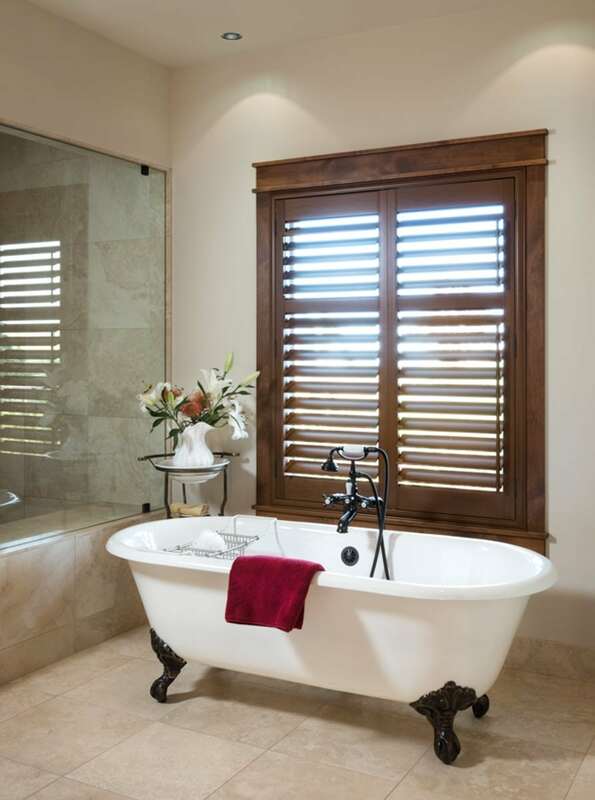 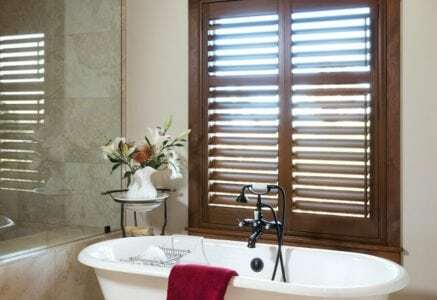 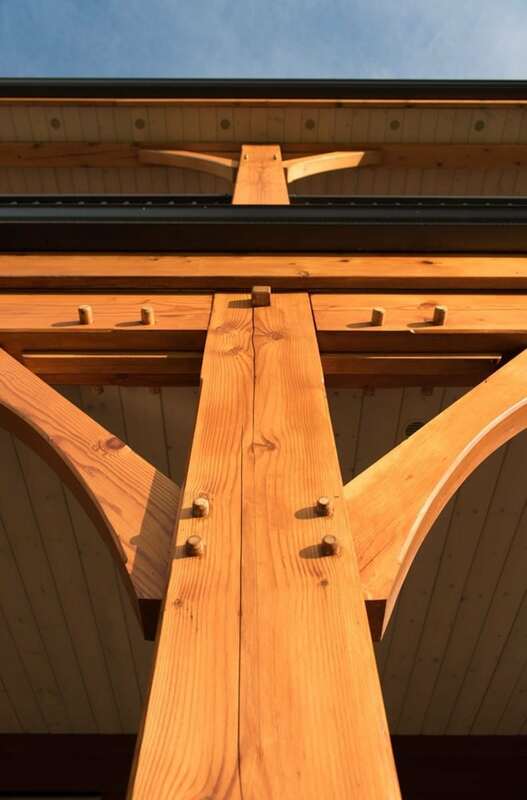 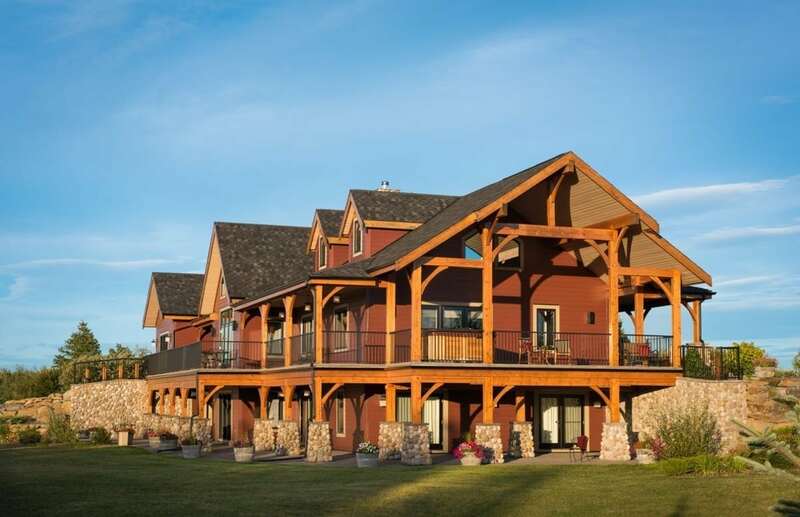 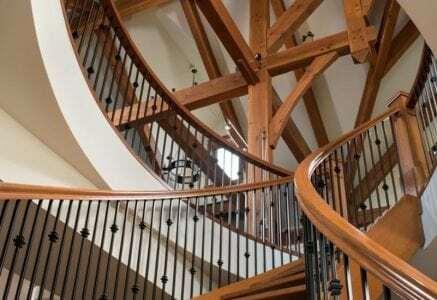 The owners love to admire the beauty and detail of the timber in each room of their home. 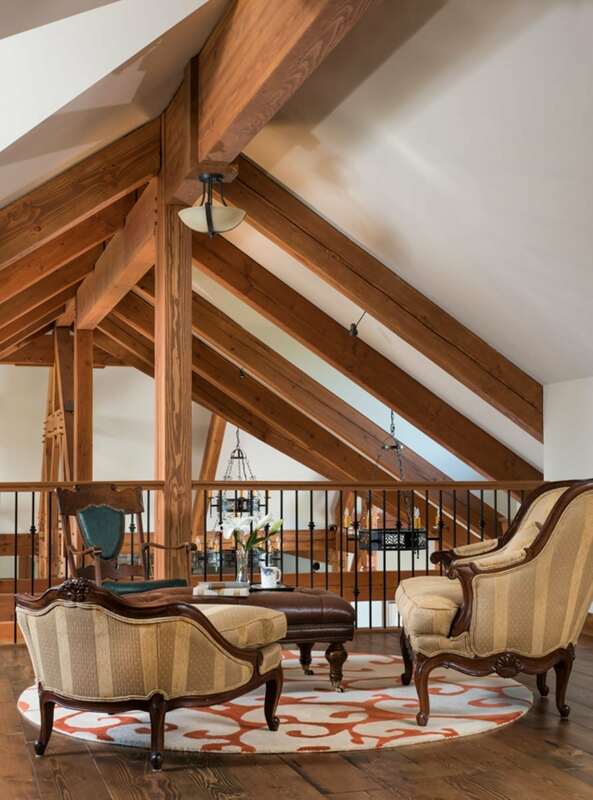 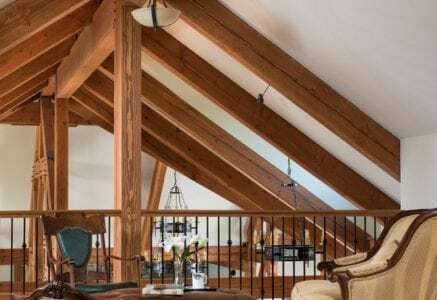 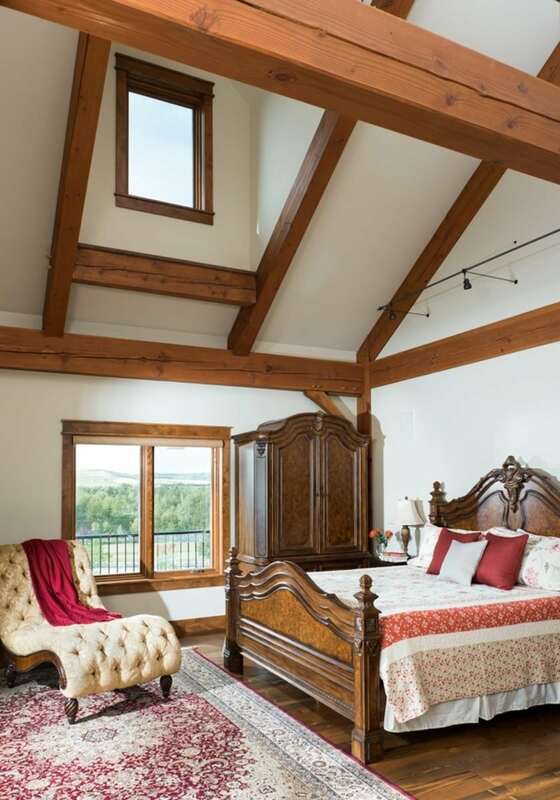 A comfortable chair in the open loft is one of their favorite spots to do this because it is nestled in the timber framing.